SoleBeats Dance School is in Fernie, British Columbia. The Schedule for classes is here. Registration information is here. Here at SoleBeats we feature a variety of subjects to learn from, from Ballet, to Hip Hop; Jazz to Tap, Contemporary, to Musical Theatre! We offer these classes in a wide range of age groups, from 3-18+! We strongly value kindness, as well as positive learning. Join us for a fun learning experience! Pictured here, in order..Nikki, our receptionist, and our lovely teachers, Miss Cara, Miss Cat, and Miss Mariah. Come and dance with SoleBeats! Everyday more and more people are realizing laughter, joy, and happiness are fuel for better motivation, and contentment with oneself. As children our imagination was key to make the most of 15 minute recess. Now with constant schedules to uphold, we find it more difficult to imagine, and envision our dreams. Creativity and imagination are as important as exercise, diet, and meditation are to a happy life, and joyful living. "While I dance I can not judge, I can not hate, I can not separate myself from life. I can be joyful and whole. This is why is dance." I believe that through dance and performance, anyone can have a Soul Connection, alleviate stress, and release emotions, while sharing with others to inspire their creativity. Dancing and performing help you move through situations in life. many of us have troube talking, thinking, or dealing with our emotions. When you open yourself to being guided by your creative expression, the benefits are noticed within moments. You have now broken down your walls and a new world has formed. Confidence has been built, and that childlike fearlessness has been restored. Through these journeys we grow and help our family, friends, and communities grow. Cat started dancing at the age of two years old in Yorkton, Saskatchewan. Starting with Ballet and quickly moving to Jazz and Tap, she soon gained an infinite love for dance, music, and performing. At fifteen she continued her dance education in Medicine Hat, Alberta where whe would make life long friends, the Aadland family. After graduation she went to Algonquin College in Ottawa, Ontario for Theatre Arts, sharpening skills and making important friends and contacts. Upon returning to Medcine Hat in 2013, she was asked to teach at the Aadlands dance studio, Hit The Floor. 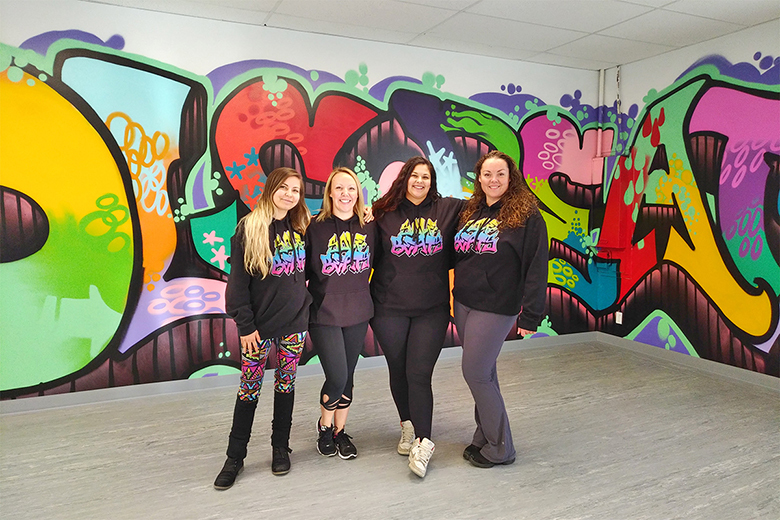 Cat gained much inspiration from teaching "her girls", it also opened many opportunities including teaching at Summer Dance Camp, in Thunder Bay, ON in 2015. Cat is excited to bring out the inner joy and happiness within the community of Fernie through dance and performance. Once you have your own Soul Connection with dance it is therapuetic and rehabilitates. She is ecstatic and can't wait to share her joy and exuberance with everyone here.